Brandon Martinez has the sweet life! 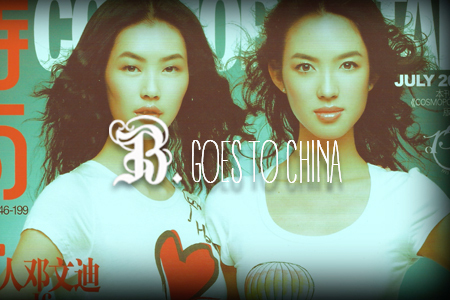 Here's a little B-Roll from Brandon's trip to Beijing China with Rupert Murdoch's Ex-wife, Wendi Deng. Brandon was hired on to style Wendi's hair for the very elaborate Cosmopolitan Magazine Photo Shoot. Brandon used the both the Spray and Spray Harder on this shoot. Right before shooting, Brandon's curling irons went haywire due to the voltage difference. Brandon's new friends in China saved the day and came just in time with new curling irons from a local beauty supply in downtown Beijing. While on the job, Brandon did a little sight seeing. Here's his adventure for all of you to enjoy.